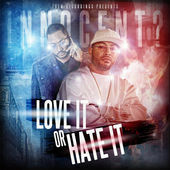 “I Like ‘Ya Style” is another quality Cool FD produced track from Innocent?’s double album “Love It Or Hate”. The video is directed by Tek of the legendary Smif n’ Wessun. And the verdict on this track? I love it – and you will most certainly enjoy it! Purchase “Love It or Hate It” now on iTunes.